When you’re in need of assistance with copywriting for your business, Smart SEO is here to help. With a team of Sydney Copywriting experts helping businesses all around Australia gain exposure and attract traffic, we can create content that will achieve the best results for your business. Our diverse array of copywriting services allow you to find the Search Engine Optimisation option that is ideal for your needs. Whether you’re just getting off the ground of you need help expanding operations – we can help. When you’re ready to find out which of our SEO Copywriting options will benefit you most, contact us. Our goal is to create a Search Engine Optimisation strategy that is designed specifically with your business in mind. We take your unique needs into consideration when approaching any SEO copywriting project. With our personalised approach, you are guaranteed to achieve the results you’re after. When you wish to launch a new website and need high-impact content written for your site or your company is in the midst of growth – Smart SEO has the expertise to help you achieve results. 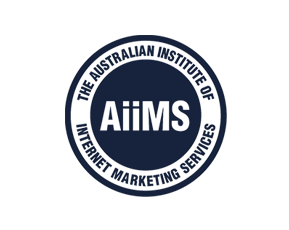 Why trust any other Australian Search Engine Optimisation company with your business needs? Let Smart SEO help you achieve #1 Search Engine Rankings with powerful content, links, social media marketing, and more. Our far-reaching approach to Search Engine Optimisation gives us the edge over the competition so your business can achieve long-term success and instant results. Smart SEO combined with SEO Copywriting provide an excellent copywriting and content writing solution for your business. Australian SEO Content writers with a command of the English language, writing with people and the search engines in mind will achieve fantastic results for you and your business. Contact us today!